Perm-apiculture - the Natural Beekeeping group: We are back online! We are back! Our blog was off-line for some time due to Internet gremlins, but thanks to tireless efforts of Woz we are online again and hope to stay that way. Good times are here again. In contrast to the last abysmal year, this time eucalyptus trees did what they are supposed to do and many report very intensive nectar flows. To gain 2-3 kg a day is not unusual. All it takes is a decent size gum tree nearby and in flower. You may wish to keep an eye on your hive(s) to make sure that there is sufficient room for the coming nectar. If the colony finds itself in a situation that it cannot gather what is available in abundance, it may start contemplating swarming. This would not be good for anyone - the colony, your honey pantry and your neighbours' walls and compost bins. The next five days will be in the 40+ degC region. 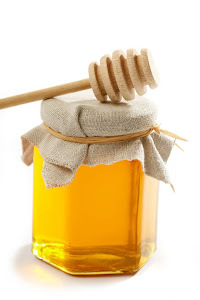 Make sure that your hives have sufficient shading at least from midday onwards. An emergency shading can be arranges in whatever way - a shade cloth over the top, a piece of plywood, whatever. Metal would be perhaps least desirable. Do not let the sun blaze directly at the hive, especially so if you have a flimsy commercial roof made of metal and thin masonite. This metal roof will heat up horribly. Comb melting underneath is then almost certain. · Make plenty (and extra) water available. · Place water in a shaded position. · Larger volumes of water hold their cool better. · Foam floaters (high density or polystyrene) can both insulate the water from direct heat and provide landing pads for the bees. Insulate the TOP. Look for polystyrene lids (ask your greengrocer for Broccoli box lids). Place these on top of the hive and weight with bricks. This can insulate and stop the sun heating the lid. 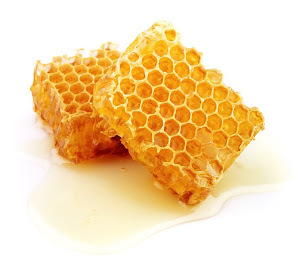 Better – take a polystyrene box and place it on top of your hive. Weight it by adding bricks and filling it with water. Place floating foam, leaves and twigs in the water to allow bees to land. Top up when needed. Overhanging sheets/roofs can also shade walls. An old towel draped over a hive and weighed with bricks can help – consider spraying with water – evaporation can help cool the hive. Use a light spray – make sure the hose has ‘run to cool’ and is NOT pushing sun heated water. Spraying hives during the day allows evaporative cooling. Wet ground and humidity around hives can help. Opening lids a little is NOT recommended. As with human houses, use shade, water and hot weather LOCKDOWN. Direct hive entrances to the EAST if possible (DEFINITELY NOT NORTH). The north winds can blow through a hive and cause meltdown. When placing new hives consider positions that get afternoon shade (an east facing wall will get morning sun and afternoon/evening shade). DO NOT MOVE HIVES NOW! 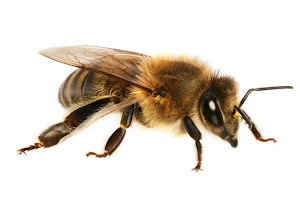 Confused bees + hot conditions = stress (and very stingy bees). Any reports of good or not that good outcomes of the heat wave will be most welcome. We have to learn from each other experiences. We used the broccoli box filled with water and foam floats on top of the hive. Although we have other water sources in the garden the bees took advantage of this extra source. It seemed to work well - we measured the weight of the hive before and immediately after the heatwave and it had continued to gain weight.